As always I started with my usual: 1 coat Orly Bonder, 1 coat Nail Tek Ridge Filler, 1 coat Nail Tek II. Then I did 2 coats China Glaze Smoke And Ashes from the Hunger Games Collection on all nails, and 1 coat of Seche Vite quick dry top coat. 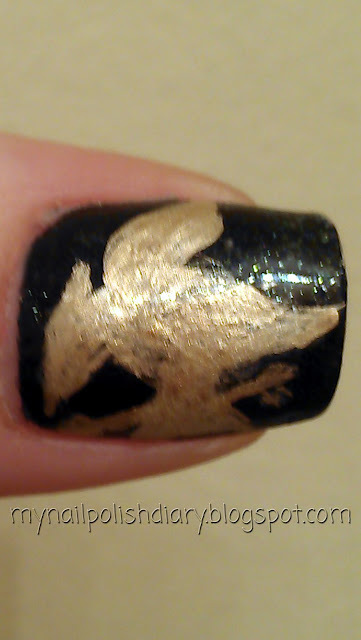 Then, for the mockingjay, I used China Glaze 2030. 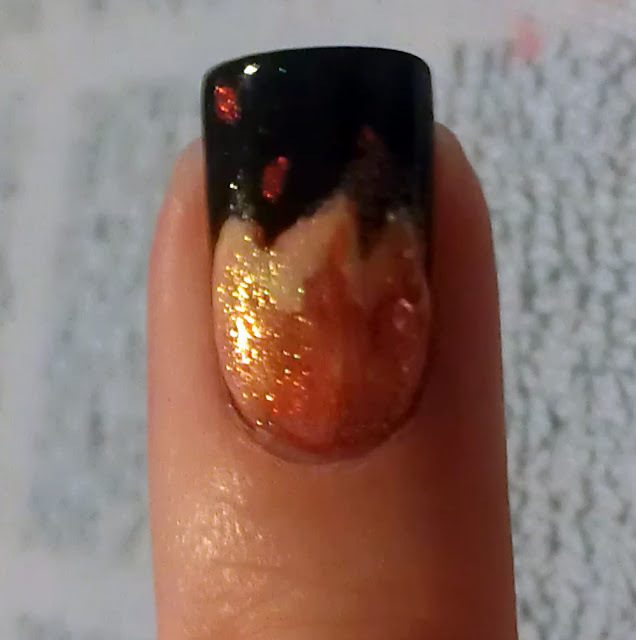 For the flames, I first drew the flame with a white Sally Hansen nail art pen so the flame would show over the dark Smoke And Ashes. Once it dried I used China Glaze Poinsettia, China Glaze Riveting (also from the Hunger Games Collection), and China Glaze Lemon Fizz to make the flames. 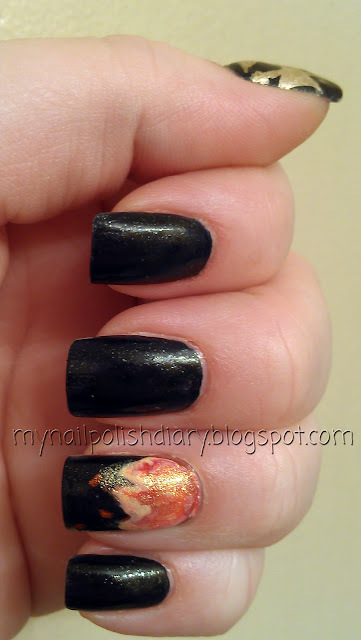 I just layered them using a small nail art brush and mixed them while they were wet to make it look fire-like. Once that was dry I did a layer of China Glaze White Cap just over the flames. I thought this made the flame seem to shimmer. For the embers I used Riveting. Being there for the midnight premiere with DH was so much fun. I'm glad we went. We saw it again this past Sunday and we enjoyed it even more the second time. Have you seen it yet? Do you plan to?